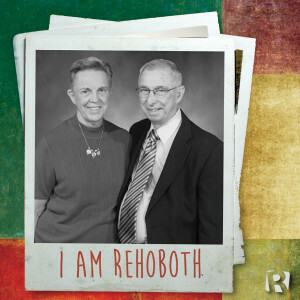 We love the family atmosphere and friendly people at Rehoboth. The Bible is preached and taught, the music is good, Rehoboth has the best Pastor to be found, and the Bible Fellowship groups have good teachers! Mabel Wallace grew up in Ragland, Alabama, where she graduated from Ragland High School. She earned a B.S. from Jacksonville State University and a Master’s degree from the University of Georgia. Mabel taught Home Economics and Science before retiring. Dennis grew up in Millerville, Alabama, where he graduated from Bibb Graves High School. He earned a B.S. from Jacksonville State University and a Master in Education from Auburn University. Dennis is also a retired educator. The Wallaces have been attending Rehoboth since 1962. They have both served a Bible Fellowship teachers. Dennis is a Bible Fellowship Department Director and the current Deacon Chair; he also sings in the choir. Mable is the Secretary of her Bible Fellowship Department and serves in the capacity of a Deacon’s wife.